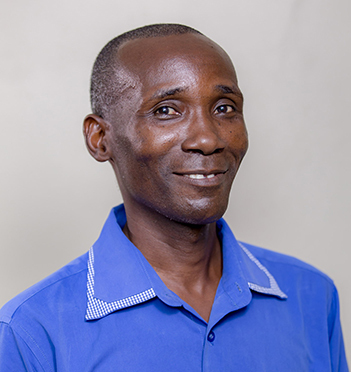 Mr. Ginethon Gabriel Mhamphi is a Senior Agriculture Field Offcier / Laboratory Scientist at Pest Management Centre, Sokoine Universisty of Agriculture. He had his undergraduate studies at the Sokoine University of Agriculture Morogoro, Tanzania where he awarded a Bachelor of Science in Aquaculture in 2011. In 2013 he joined the Faculty of Veterinary Medicine at Sokoine University of Agriculture for MSc on Public Health and Food Safety graduating 2016. Mr. Mhamphi has been doing research on rodent control technologies, zoonotic diseases and also fully enhaged in field and laboratory works . He has been involved in reseach of Leptospirosis, Tick Born Relapsing Fever, Plague and Toxoplasmosis diseases. He has been assisting national and regional students and researchers in their research since 2003, also involved in arranging and conducting Field Schools on small mamamals for students and employees from various instutitions. Currently he is doing field trials on Rodent fertility control using synthetic hormones, Leptospirosis and evaluating rodent reppellent and hermetic bags. Ginethon Mhamphi is a Senior Agricultural officer at Pest Management Centre, Sokoine University of Agriculture. He is working on researches in rodent control and zoonotic diseases. He is actively involved in research on leptospirosis, plague and toxoplasmosis diseases especially in studies which contributed to control of plague in endemic areas of Tanzania. He participates in outreach activities to promote public awareness of problems caused by rodents socioeconomically and to public heralth. Mr. Mhamphi is completing an MSc. Study on public health and food safety at Sokoine University of Agriculture. His MSc work focused on fertility control in rodents especially the major African rodent pest spcies Mastomy natalensis. The findings shows significant reduction in fertility in rodents indicating potential use of fertility control agents apart from rodenticides to control rodents in houses and farms to reduce crop lossess and disease transmissions to humans. Leptosipirosis project: Funded by Tanzania Commission for Science and Technology (COSTECH). Surveillance of Canine Leptospirosis and Associated Carrier animals in Urban and Rural Dogs in Morogoro, Tanzania (2016-2017). Funded by Africa Small Companion Animal Network (AFSCAN). (2008-2012) Research Initiative Programme Project: Spatial and temporal prevalence of rodent-borne zoonotic diseases affecting public health in the Rift Valley in Tanzania (Funded by the Belgian Government through the IUC-RIP programme). Rodent fertility control project (2013-2015). Funded by European Union. Investigation of the Performance of System of Rice Intensification (SRI) and Rodent ecology and prevalence of zoonotic diseases under SRI and traditional rice growing systems in Tanzania– Funded by Tanzania Commission for Science and Technology (COSTECH). ECORAT Project: Development of Ecologically based rodent management in the SADC region (Funded by European Union). RATZOOMAN PROJECT (Rodent Zoonosis Management) an international European-Union funded project involving four African countries, South Africa, Zimbabwe, Mozambique and Tanzania. Assenga JA, Matemba LE, Muller SK, Mhamphi GG, Kazwala RR (2015) Predominant Leptospiral Serogroups Circulating among Humans, Livestock and Wildlife in Katavi-Rukwa Ecosystem, Tanzania. PLoS Negl Trop Dis 9(3): e0003607. doi:10.1371/journal.pntd.0003607. Chipwaza B, Mhamphi GG, Ngatunga SD, Selemani M, Amuri M, Mugasa JP, et al. (2015) Prevalence of Bacterial Febrile Illnesses in Children in Kilosa District, Tanzania. PLoS Negl Trop Dis 9(5): e0003750. doi:10.1371/journal.pntd.0003750. Abdul A.S. Katakweba, Ginethon G. Mhamphi, Dismas C. Mwalimu, Geophrey Mchau, Thomas J. Mbise, Ramadhani M. Lugendo, Benny Borremans and Bukheti S. Kilonzo (2015) Laboratory and field tests of Carbaryl 5% against fleas in Lushoto district, Tanzania tanzania Journal of Health Research volume 17, number 2. Mgode GF, Machang’u RS, Mhamphi GG,Katakweba A, Mulungu LS, Durnez L, et al. (2015) Leptospira Serovars for Diagnosis of Leptospirosis in Humans andAnimals in Africa: Common Leptospira Isolates and Reservoir Hosts. PLoS Negl Trop Dis 9 (12):e0004251. doi:10.1371/journal.pntd.0004251. Georgies F. Mgode, Ginethon G. Mhamphi, Abdul S. Katakweba and Michael Thomas (2014). Leptospira infections in freshwater fish in Morogoro Tanzania: a hidden public health threat. Tanzania Journal of Health Research Volume 16, Number 2, April 2014. Georgies F. Mgode, Ginethon G. Mhamphi, Abdul S. Katakweba and Michael Thomas (2014). Leptospira infections in freshwater fish in Morogoro Tanzania: a hidden public health threat. Tanzania Journal of Health Research, volume 16 number 2. Georgies F Mgode, Abdul S Katakweba, Ginethon G Mhamphi, Frank Fwalo, Mohamed Bahari, Mashaka Mdangi, Bukheti S Kilonzo, Loth S Mulungu (2014).Prevalence of leptospirosis and toxoplasmosis: A study of rodents and shrews in cultivated and fallow land, Morogoro rural district, Tanzania. Tanzania Journal of Health Research 16 (3), 7. Loth S. Mulungu, mgeta T. Kubala, ginethon G. Mhamphi, robert Misangu and Maulid W. Mwatawala (2010). Efficacy of protectants against maize weevils (Sitophilus zeamais Motschulsky) and the larger grain borer (Prostphanus truncatus Horn) for stored maize. Int. Res. J. Plant Sci. 2010 1(6): 150-154. Katakweba, A.A.S; Mgode, G.F; Kipanyula, M.J; Mhamphi, G and Machang’u, R.S (2007). Rodents and shrews as vectors of zoonotic spirochetes and trypanosomes in Tanzania. East Africa Medical Journal. Mgode, G.F; Mhamphi; G; Katakweba, A.A.S; Paemelaere, E; Wilkens,N; Machang’u, R.S and Hartskeerl, R.A (2005). PCR detection of Leptospirosis DNA in Rodents and Insectivores in Morogoro Tanzania. Belgian Juournal of Zoology, 135 (supplement): 17-19. R S Machang'u , G F Mgode , J Assenga , G Mhamphi , B Weetjens , C Cox , R Verhagen , S Sondij , M G Goris , R A Hartskeerl (2004). Serological and molecular characterization of leptospira serovar Kenya from captive African giant pouched rats (Cricetomys gambianus) from Morogoro Tanzania. Immunological Medical Microbiology. 41 (2):117-21. R S Machang'u , G F Mgode , J Assenga , G Mhamphi , B Weetjens , C Cox , R Verhagen , S Sondij , M G Goris , R A Hartskeerl (2002). Characterization of leptospira isolates from captive African giant pouched rats (Cricetomys gambianus) In: Rats, mice and people: rodent biology and management / Singleton G.R. [edit. ], e.a., s.l., , 2002, p. 40-43. Sissa, G. A (2012): Prevalence of Leptospirosis in Rodents and Shrews in Mvomero District Morogoro. Ndiwu P (2012): Determination of Haemoparasites from Rodents and Shrews in Mvomero District Morogoro. Mohamed Bahari (2013): Determination of the prevalence of Toxoplasma gondii in Rodents from Mikese Morgoro Rural District. Frank Fwalo (2013): Prevalence of Leptospirosis in Rodents and Shrews at Mikese Morgoro Rural District.